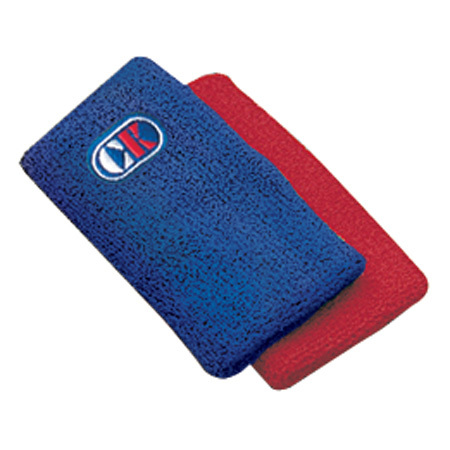 Red and blue stretch terry. Easy to put on, take off. Washable-will not shrink or stretch out of shape. Set includes 1 pair of differently colored bands.